Welcome to Day 4 of my 12 Days of Christmas. 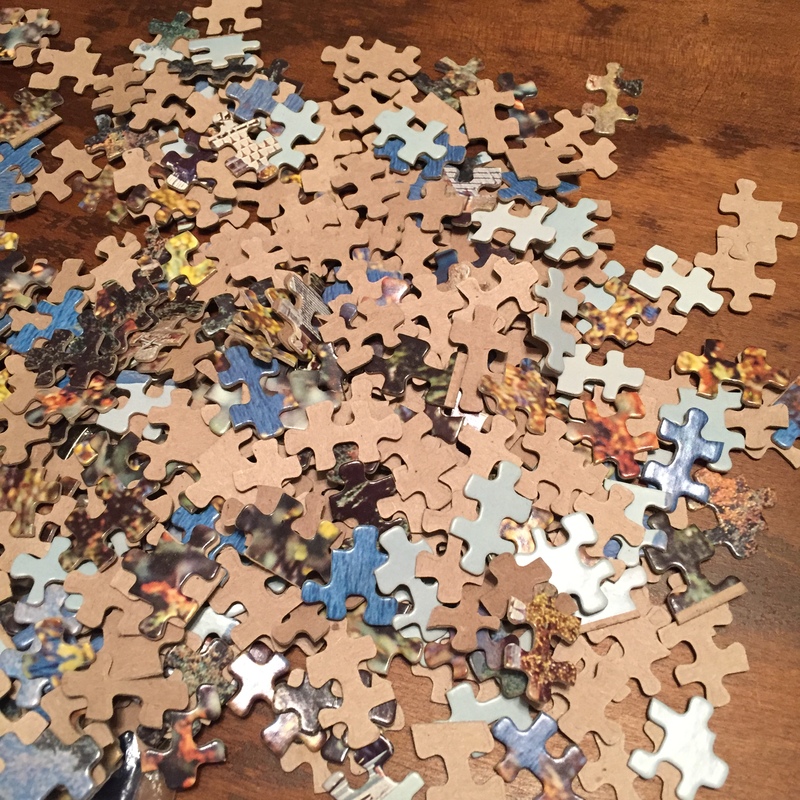 Today I want to show you what I did with some free puzzles pieces I got at an auction in the summer. No one else seemed to want them. I knew I’d figure out a way to repurpose and reuse them. 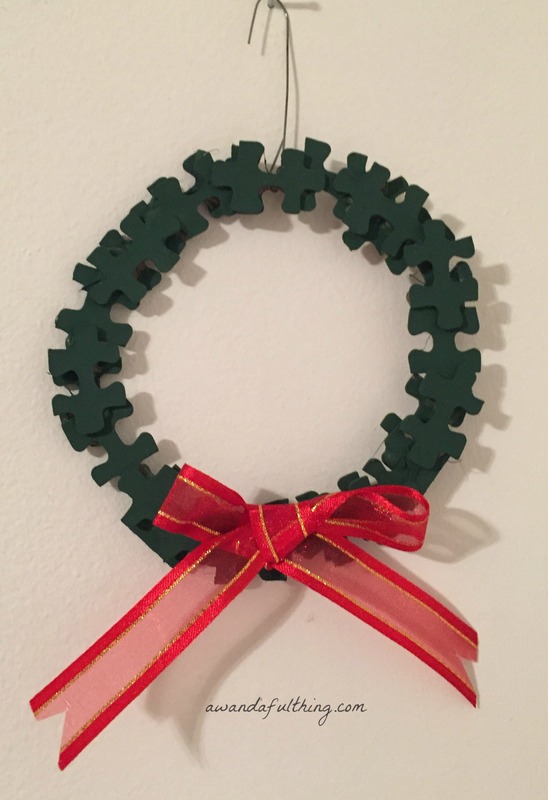 I’ve seen puzzle wreaths before so I decided on a large wreath that could hang on a door or a wall and a small wreath to use as an ornament on the Christmas tree. 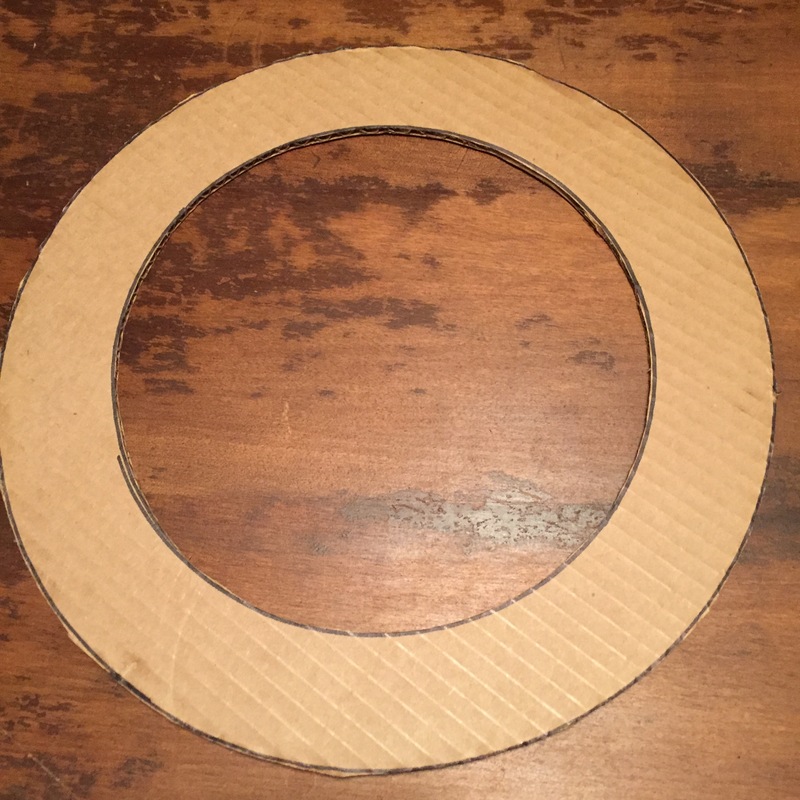 For the white one, I started off by cutting a 12 inch diameter template from cardboard to glue the puzzle pieces to. 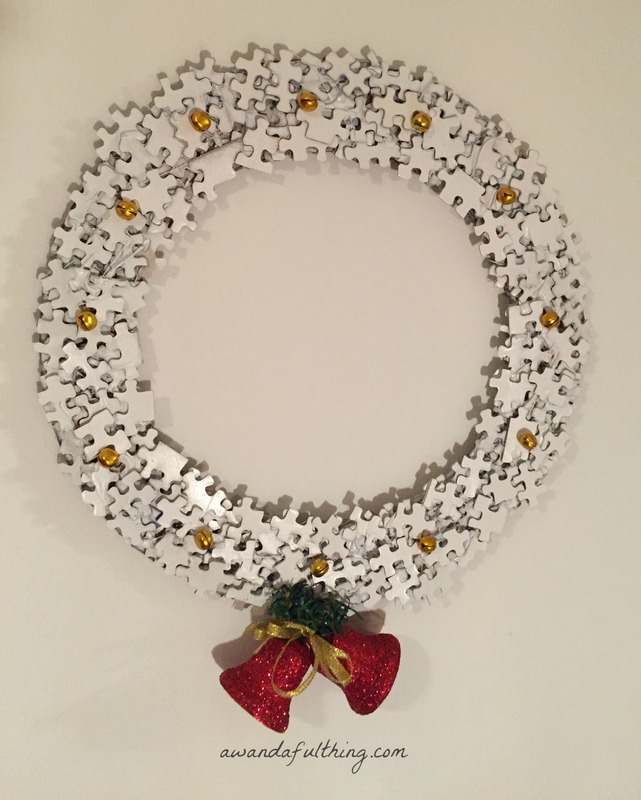 Next I used the glue gun and start gluing the puzzle pieces down. You’ll need to overlap the pieces in order to cover the cardboard. Within an hour, you have yourself a Christmas wreath. Just remember, this is for indoor display only. 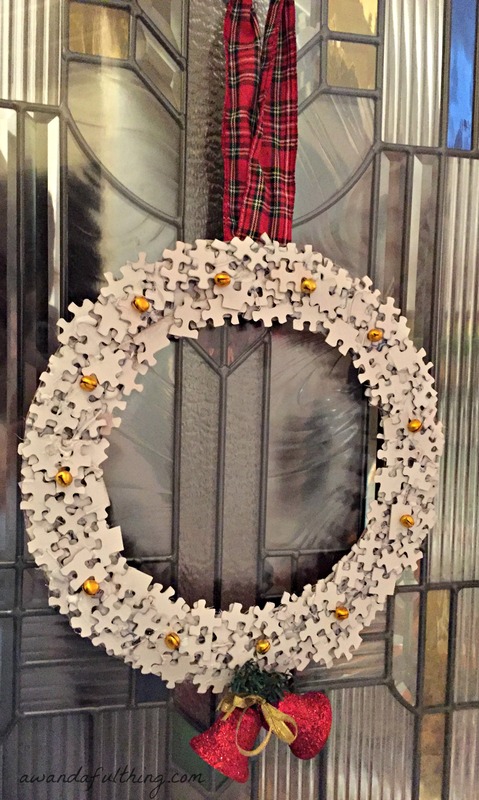 For the puzzle piece ornament, I overlapped each piece and used a dab of glue to hold them together. I added a second layer for dimension. The wreath was spray painted white and the ornament was painted with green craft paint. Once they were dry, I embellished the wreath with gold bells, a spray from the craft store and in the end I decided to add a plaid ribbon and hang it on my front door. The tree ornament was embellished with a small red ribbon and it was ready for hanging on my tree. 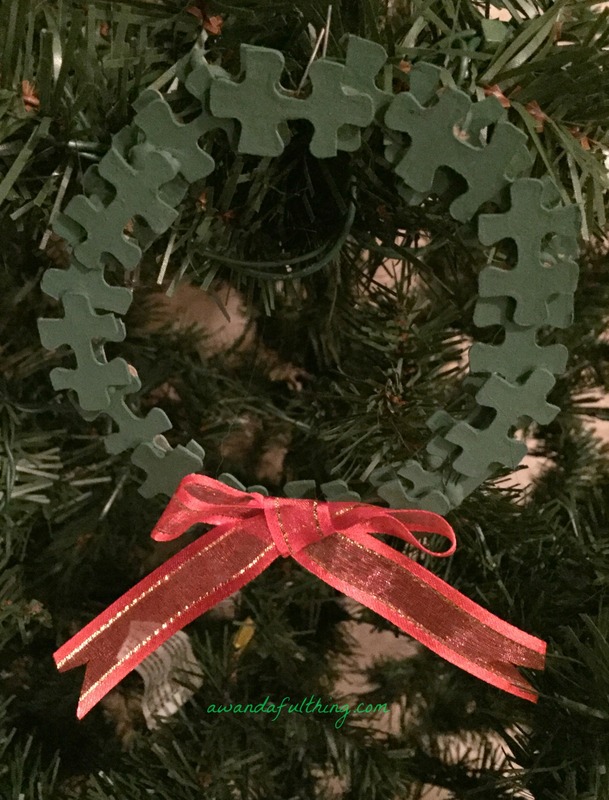 Reused and repurposed puzzle pieces – It’s A Wandaful Thing! If you missed Day 1-3 of my 12 Days of Christmas you can link to them below. This entry was posted in Decorate, DIY, Make. Bookmark the permalink.